I love watermelon but I find myself overeating it when given the opportunity! My solution?? Make popsicles! This is a great way to use up any extra watermelon so you don’t feel pressured to eat it all so hat it’s not wasted. This is a “No-Recipe, Recipe” meaning you could do this with any fruit or berry but using watermelon, you get a lot of Bang for your buck and is appropriate for the season! 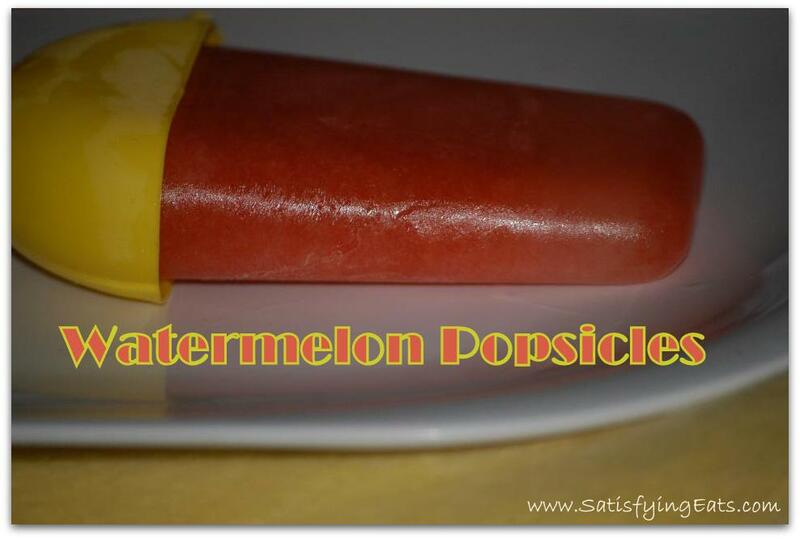 Check out these cool watermelon popsicle holders HERE. NOTE: The amount of sweetener needed will depend on the sweetness of the individual watermelon. Be sure to remove all seeds before you puree! Blend all ingredients in Ninja or blender for 30 seconds. Taste for sweetness and adjust if necessary. Pour into Popsicle molds and freeze. To release frozen popsicle, place mold under hot water for a few seconds. Just discovered your site. Can’t wait to try the recipes. I see Amazon is out of your cookbook. Will they have more? ?